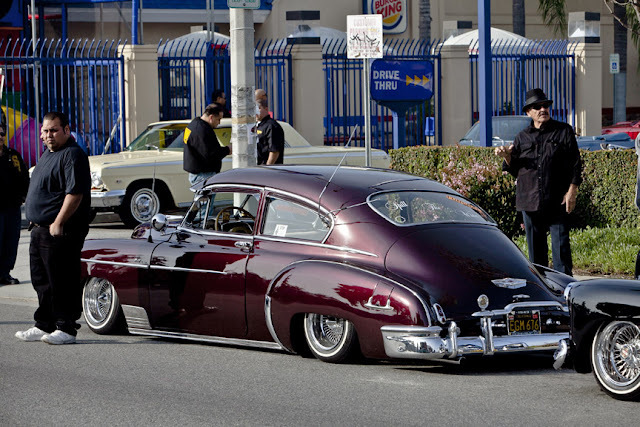 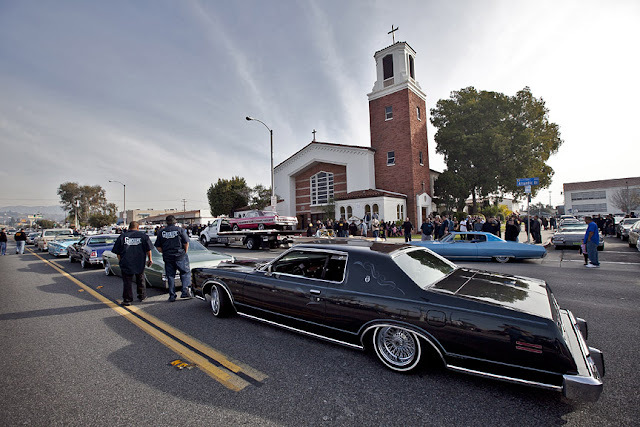 LA Photo: Last Ride For "Gypsy Rose"
Hundreds of classic lowriders led a funeral procession through East Los Angeles for lowrider pioneer and founding member of the Imperials Car Club, Jesse Valadez. His lowrider, the famed "Gypsy Rose," led the procession resting on the back of a flatbed truck. 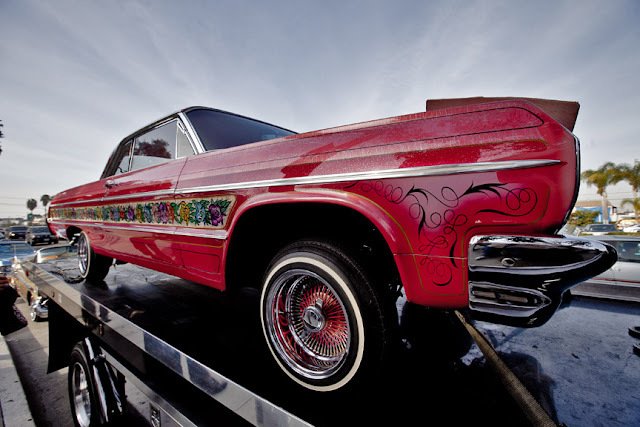 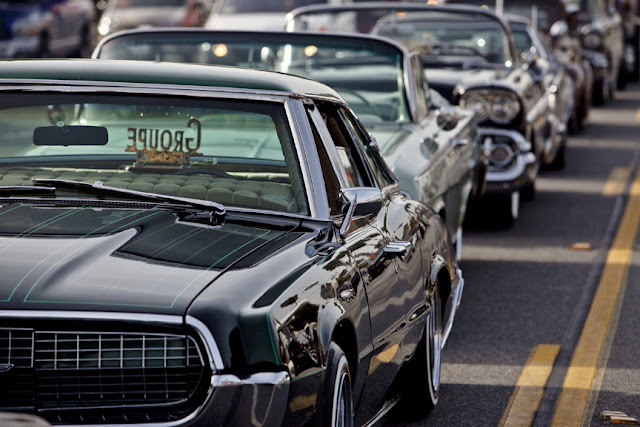 The "Gypsy Rose", a 1964 Chevy Impala, is considered by many car enthusiast to be the most famous lowrider ever made. It's sides are adorned with colorful painted roses with a bright pink velour interior, and took two years to complete. 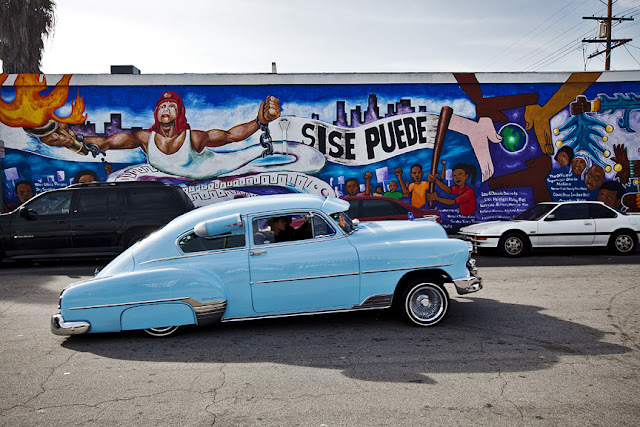 The "Gypsy Rose" can be seen in the opening credits of the TV sitcom, Chico and the Man. 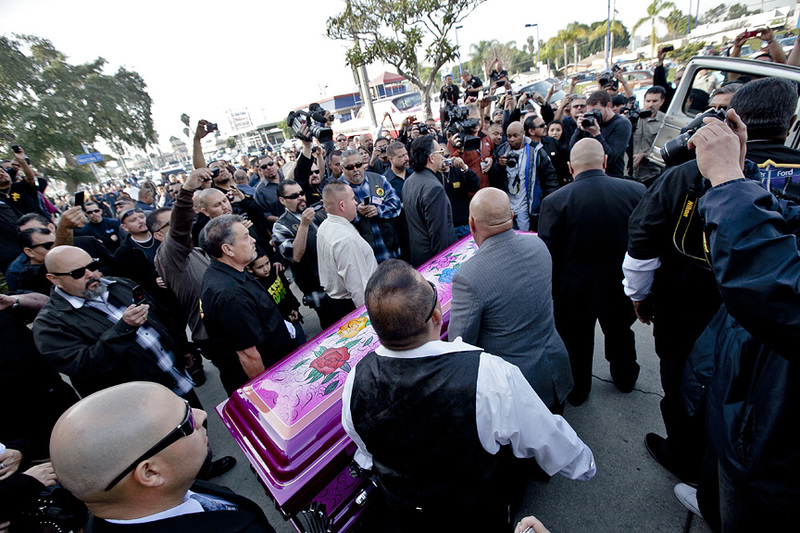 Valadez's casket was also painted in the style of the "Gypsy Rose."